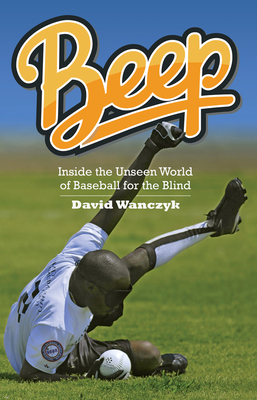 In Beep, David Wanczyk illuminates the sport of blind baseball to show us a remarkable version of America’s pastime. With balls tricked out to squeal three times per second, and with bases that buzz, this game of baseball for the blind is both innovative and intense. And when the best beep baseball team in America, the Austin Blackhawks, takes on its international rival, Taiwan Homerun, no one’s thinking about disability. What we find are athletes playing their hearts out for a championship. Wanczyk follows teams around the world and even joins them on the field to produce a riveting inside narrative about the game and its players. Can Ethan Johnston, kidnapped and intentionally blinded as a child in Ethiopia, find a new home in beep baseball, and a spot on the all-star team? Will Taiwan’s rookie MVP Ching-kai Chen—whose superhuman feats on the field have left some veterans suspicious—keep up his incredible play? And can Austin’s Lupe Perez harness his competitive fire and lead his team to a long-awaited victory in the beep baseball world series? Beep is the first book about blind baseball. David Wanczyk grew up a Red Sox fan and once gave up twenty-seven runs in an inning before realizing he’d never make it to Fenway Park—or varsity. He’s coped with that by writing on novel sports for Salon, Slate, Boston Globe Magazine, Texas Monthly, and other venues. The editor of New Ohio Review, he lives in Athens, Ohio, with his wife, Megan, their daughter, Natalie, their son, Ben, and the family heirloom—an autographed Pedro Martinez hat.